Looking for a new home? Get started by searching by area, preferreed features and more. Selling and buying real estate in New Mexico is often a challenging and frustrating experience, this is where The Source Realty can make your experience different. Our team consists of highly trained real estate professionals, focused on making your buying or selling experience effortless and enjoyable. The Source Realty also offers a unique service to all of our clients wanting to buy, sell or build a home in New Mexico. Unlike any other real estate company in New Mexico, The Source Realty has an in-house licensed general contracting service that will assist you with anything from making minor repairs to your property to building you a custom home. What this means to you as the buyer or seller is a worry free transaction and knowing that The Source Realty assisted you every step of the way. 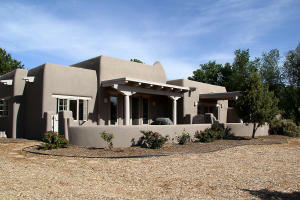 See the difference for yourself, when you use The Source Realty for your next New Mexico real estate transaction. And remember when it comes to New Mexico real estate at The Source Realty WE CAN DO EVERYTHING FROM THE GROUND UP. Please call Chris @ 505.991.5818 for more Info.